In this blog post,we are going to see how to manage workgroup/ DMZ computers using SCCM Configmgr 2012. This procedure involves working with lmhost and host files on workgroup computers. For some reason,i find that ,Technet documentation is not very clear on how to manage workgroup computers http://technet.microsoft.com/en-us/library/bb680962.aspx. Technet document just illustrates the overall procedure but not in detail. Before we jump into the details of updating lmhost,other files,lets have a look at workgroup limitations,site assignment,approval etc. Workgroup clients cannot locate management points from AD and instead we must use DNS, WINS or another Management Point. Global Roaming is not supported because clients cannot query AD for site information. AD discovery cannot discover computers in workgroups. You cannot deploy software to users of Workgroup computers. You cannot use client push installation method to install client on workgroup computers. 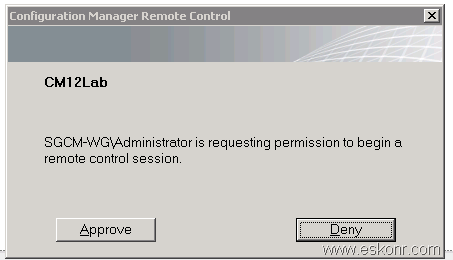 Workgroup clients cannot use Kerberos for authentication so might require manual approval. Workgroup client cannot be configured as a Distribution Point. SCCM 2012 requires that distribution point computer be members of a Domain. 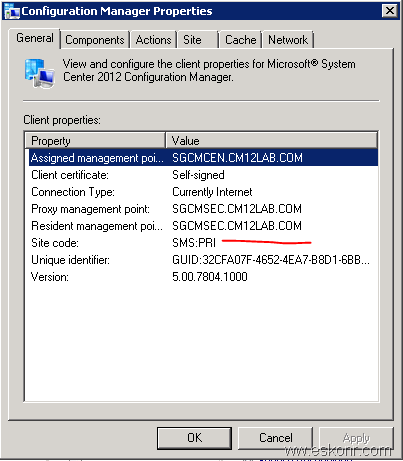 After you install the Client, it must join a configmgr primary site before it can be managed. The site that a client joined is referred to as its assigned site. Clients cannot be assigned to CAS or secondary Site. A client is considered to be unmanaged when it is installed but not assigned to a site or is assigned to a site but cannot communicate with a management Point. Use SMSMP property to specify management point or use DNSSUFFIX for the clients to automatically locate MP from DNS. You can either choose to approve all automatically (not recommended) or manually approve each workgroup client from site setting properties. If boundaries and boundary groups are configured properly clients can automatically locate Distribution Points. Package properties: Deployment option: download content from DO and run locally which means all these clients will fall under SLOW. Note : The above information is captured from Taj mohammed (Microsoft) session. Before installing SCCM client on workgroup machines,we need to do some configurations on the workgroup/DMZ computer. If you have managed to get workgroup computer working using SCCM 2007 ,you may find the steps more or like same in this blog post. Do the below steps on Workgroup machine. For workgroup clients to communicate with SCCM server (MP,DP,SUP etc) ,you need to work with network team to get the required ports opened for communication between the Client and SCCM Server . By default ,ccmhttp: 80 and WSUS port:8530 to be open from Workgroup to SCCM server (MP,DP, WSUS) ,if you have used custom ports ,get them opened . (do telnet servername port to test if they are working). Login to the DMZ/workgroup computer ,perform the following steps. Go to Internet TCP IP Protocol .Click on Properties---> click on Advanced --->Go to DNS Tab . 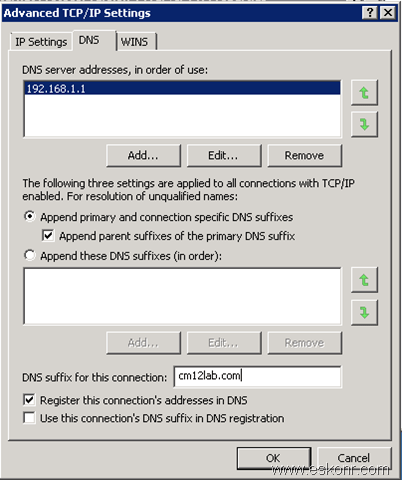 add the DNS suffix of your domain as shown below. 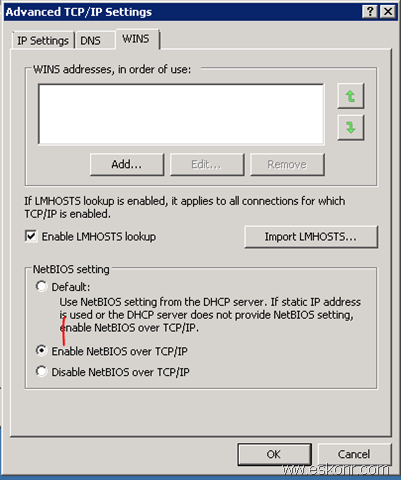 Next to DNS tab,select WINS Tab,select ‘Enable NetBIOS Over TCP\IP (This is only applicable if you are using Static IP ) ,click Ok to save Changes. Make sure you have 20 characters (Including blank Spaces) between the quotes . Note:Am not adding SLP entries to lmhost file since SLP is integrated into Management Point in CM12 and later versions. You will see, the changes are loaded into cache. Next is ,to have local administrator Account for remote control using SCCM 2012 .If you do not have this account,remote control will not work. 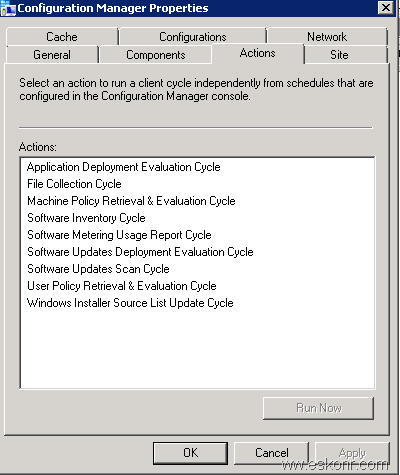 Now we are done with the required changes and we are ready to install Configmgr Client. Copy the sccm client installation files to local drive to workGroup machine (C:\client). Run the command prompt with local admin rights . use the below command to install sccm client on your workgroup computer. After the installation is successful (C:\windows\ccmsetup\logs\ccmsetup.log), look for “C:\Windows\CCM\Logs\ClientIDManagerStartup.log”,if the client is registered successfully or not with Management point.If the registration is not done, client will not go further to get policies and it requires troubleshooting. you should see something like below if the client is registered successfully. 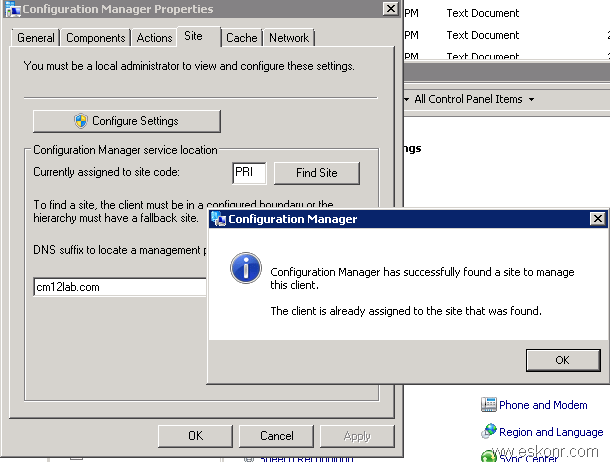 After the client is registered ,you need to go to your Configuration manager console ,Devices ,look for the Client entry ,right click on the client and select Approve. 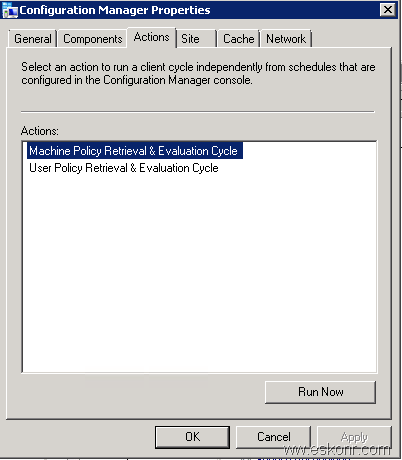 This will help client to get through the policies from Configmgr and able to manage the client for deployment stuff. Right click on the computer and approve. Go back to the client,see if you see more than 2 actions or not. If you have issues appearing the client in console,you will have to check clientIDmanagerStartup.log, clientlocation.log and locationservices.log as part of troubleshooting. so far ,we have seen how to edit the lmhost file ,install the SCCM client and approve the client for client to be able to communicate with Management Point. 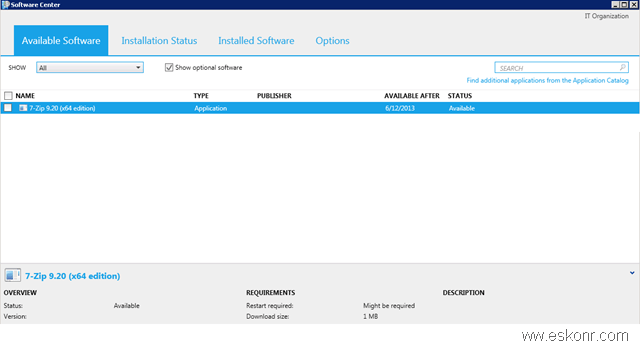 Now we will see if Application Deployment,Remote Tools and Other functions work or not. Try to create simple application or if you already have any ,Deploy it to workgroup computer. Note: Make sure you configured Network Access Account to access resources from domain for the workgroup computer. I deployed 7zip application and it appears in software center. You see it is successfully ran. same way,you can also deploy software updates,packages and what else you can,Do it. What next ,Remote Control ? After you do this,try to do remote control of the Workgroup computer from sccm console,you get prompt for authentication since domain cred wont work. Note:if your local administrator account is disabled for other reasons,use the account which as local admin rights on the workgroup computer. 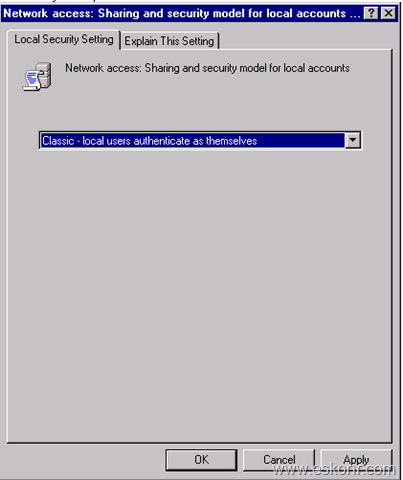 Note: By Default ,windows 7 and later Operating Systems,GPO setting set to Classic-Local Users Authenticate themselves. On the workgroup computer,you see something like this ,you can change the settings to not ask user permission in client agent settings. Update: If you are trying to manage Windows XP Workgroup computers,GPO setting is not set to classic by Default and it is required to change it manually or via scripting else you keep on prompting for password that never works. Thanks to Niall for finding the GPO setting on WinXP computers. 10 Responses to "SCCM Configmgr Manage Workgroup Computers for Deployment,Remote tools etc"
I followed the article, I am successful till client installation. i added the machine to collection and ran machine policy cycle. the deployments are not in software center. also i ran software update scan cycle. got error. 0x8024401c translates to Same as HTTP status 408 - the server timed out waiting for the request. Check the windowsupdate.log and also ccmmessaging.log if your client is able to communicate to site server or not. No, you need to use IBCM in SCCM 2012 or cloud management gateway in current branch. thanks for this beautiful article. I have followed all the point you mentioned here. just to know how to add network access account in workgroup computer or it doesn't needed and also from workgroup system we are not able to ping or access share of our PSS. Network access account should be defined in SCCM console and to access the content from workgroup to site ,NAA will be used to connect. It did work for me without slp but anyhow, adding slp solved your issue. That would help someone who read the comments. SGCMCEN is host name of SCCM machine or site name. If site name so where I can see my site name. I adding SGCMCEN as a host name. 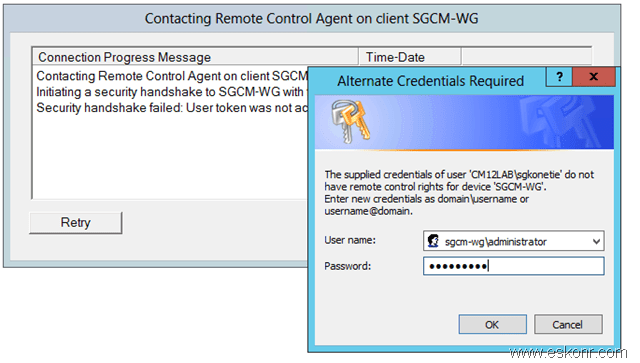 Sgcmcen is sccm primary site name(hostname) that client can talk to register its guid.